Yes – no – maybe???? We get so caught up in the most recent diet trends that we forget what food really does for us. It nourishes our body. It is one of the many pleasures in life. That’s why, unless instructed by a doctor, we should eat food from all food groups. And my answer to the question above is unequivocally YES we should eat carbohydrates! Many of my clients come to me very confused and almost afraid to eat carbohydrates. If this is you, keep in mind you need whole food carbohydrates like whole grains, potatoes, beans, etc. to help you maintain nutritional balance. Without them you will experience cravings, brain fog and many other icky side effects. You will lose weight, say bye-bye to cravings and have lots more energy when you eat the right portions of healthy whole food carbohydrates. Why eat whole food carbohydrates? Whole foods high in carbohydrate provide the body with glucose, which is converted to energy used to support bodily functions and physical activity. One important benefit is that they provide high quality fuel for your brain. Among scientists, there is strong consensus that a diet rich in whole food carbohydrates and fiber is crucial for brain health. At each meal, when your plate includes one small portion of quality whole food carbohydrate, your brain happily utilizes the glucose from the carbohydrates as its main energy source. When you limit or eliminate carbohydrate foods, your glucose levels fall, and your brain sends out strong signals that it needs more glucose. Those signals are things like hunger, irritability, dizziness, lightheartedness, confusion and cravings. 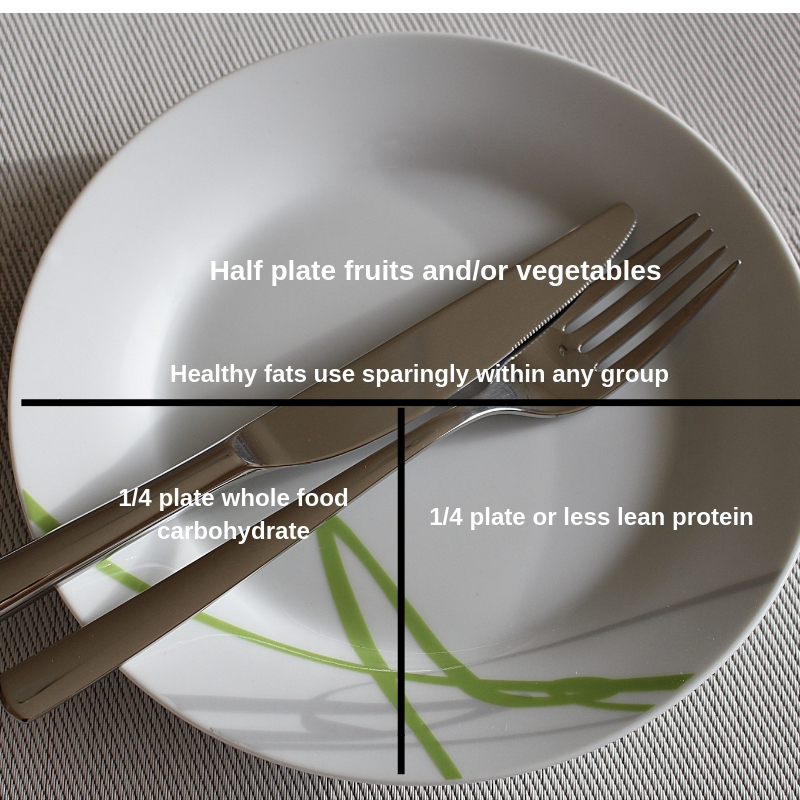 The Healthy Methods Plate recommends filling most of your plate with healthy veggies, a small serving of whole food carbohydrate, a small portion of quality protein, and a small serving of healthy fat. Once a day we recommend switching out a vegetable serving for a small serving of fresh fruit. The bottom line is it is a myth that carbs are unhealthy or will cause weight gain. The truth is whole food carbohydrates are among some of the most nutrient dense foods you can choose. <<< Click here to watch a quick video of what’s offered. If you would like to chat 1-1 about it, give me a call at 203 885-2020.